Hello there! Let me introduce myselfsteemCreated with Sketch. I joined steemit in July 2016. But until now, I havn't posted anything. 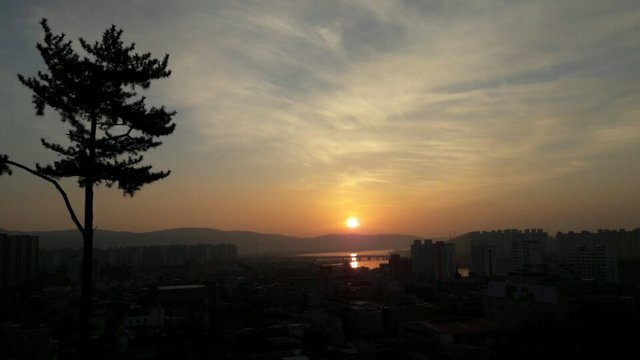 I am Korean and a UNIST (Ulsan Institute of Science and Technology) student who likes music (rhythm games, playing guitar, dancing) which I think that is the one of the tools of my thinking. I like finding connections from the things that seem unrelated. My interests have often changed. I wanted to be a successful person by 2012, wondering what success is, and I was interested in the topic of software in 2013 and platform in 2014. And recently, I have been focusing on cryptocurrency, futurism and economy to prepare for the upcoming future. And furthermore I'm now moving my interests to data science and history. My strengths are the diverse experiences and thought processes based on that experience. I read a lot of books as my interests changed. Also I changed my college major so frequently. When talking about my changing history of courses or intesrests my friends are surprised easily. Based on these various experiences I often relates something to understand. And with this ability I made some of my own solutions for social problems and made other many good ideas. I could not concentrate on one field because there were too many interests. I still can not say that I have deep understanding of one field. So I feel uneasy because I cannot say that I can do something well. To improve myself, I changed my courses to Nano Materials Engineering(1st track), and Computer Science and Engineering(2nd track) last year. That was my last change of course change. I decided to enhance my expertise on those tracks. I will talk about the things I have seen so far and the ideas I have created, my thoughts and values. I will also talk about all the topics that I was interested in. Topics can be musics, futures, platforms, and the key of success. And this is just my hope, it is the 'connecting the dots' project. I would like to run a kind of project that will improve the ability of people to connect something. It's just a plan for now. I will challenge this when I have enough confidence. I was dreaming of a platform like steemit, 'succeed by making others successful'. So I really thanks to Ned Scott and Dan Larimer for making this platform, I would like to thank the Korean steemit Community for providing an opportunity to access steemit. I hope to be the one of the members to make steemit successful. Thank you! Are you indian? :) Namaste! I'll satisfy your expectation wait a moment. You're right on time! Welcome aboard! Great post upvote and follow you. Gran post te voto y te sigo. Hi! :D See you again!! The first step is usually the hardest. I just signed up tonight. Welcome and wish you the best of luck this new year of 2017. Right! I can be classified as multipotentialite. I'll keep this ted for me. Well written and very thoughtful introduction. Nice too meet you @sonzweil! Thank you. Nice to meet you @reddust. I want to see your posts soon. Welcome. I also joined in July. maybe about the same time then. I have seen there's a few people posting kr. I wish to visit Korea someday. Nice picture of the sun, cannot make up it it's rising of setting. i guess it's setting. You can actually edit this post and delete one of the 2nd to 5th tags as a workaround. The first tag cannot be changed. 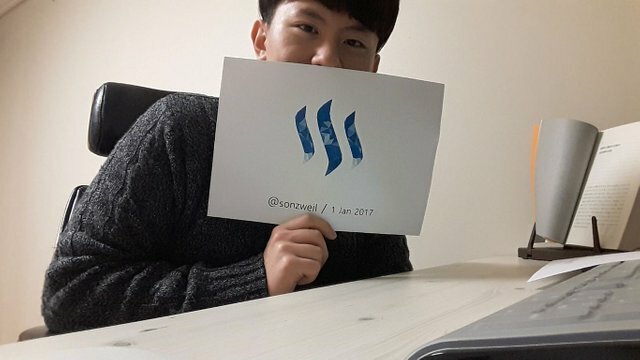 Hi welcome on Steemit and a Happy New Year! Welcome to Steemit, happy steeming!! @rynow I hope you too. Happy steeming! Welcome. I look forward to your posts and to your unique solutions. Hello. Someday when you find my posts, I want to get your comments and advices. Because solution is not fixed one! interesting article, am new in steemit too and i did´t post anything yet. Wow I'm envious of your posting and follower number. I'll try to catch up you. I already see you succeeding on steemit. You will definitely have dots to connect as you will find out with time that @ned and @dantheman must be geniuses as it appears that they plan the model that way. You find yourself as a user heartily connecting the dots as you have stakes in the enterprise in the form steem power and you get that feeling and you constantly try to connect the dots same as others, the non-stop conscious activity and it becomes evident that steemit is bound to succeed because everyone is mining with their minds. In you post I think it is okay to mention a few users to notify them. So I mentioned Ned Scott and Dan. Who knows they may pop up at your post. These people are reachable. About your confidence, that will grow. I know I can help with that. You can always leave me a comment and I will follow up. I'm really appreciate your long comment and further efforts. I'm impressed with your comments especially at the point you mentioned about my confidence and dot connection! I'll leave comment to you when I need help. I also want to help you as far as I can. Let's make steemit better place. Thank you! Yep certainly. If you are on steemit.chat already you can find me as @surpassinggoogle. Welcome back surpassinggoogle. I don't play soccer well. But generally Koreans love football. When World Cup period comes, most of Koreans fall into the heat of soccer including me. I'm now reading your post. And I upvoted it because it helps to broaden my view. I hope it will help you. Thank you! I'm on steemspeak! I didn't know how to use 'discord' so I searched about usage today. Finally I talked with some people today. It is really nice place to talk and great. Also I'm now getting esteem. Thank you for your valueable information. i cannot see this posting in kr category ?? Oh I didn't know that. Thank you for inform this. 와 이런식으로 가입인사를 하니 정말 멋있습니다 저도 조만간 sonzweil 방식을 본떠서 다시 정식으로 해보고 싶습니다! 앞으로 잘 부탁드립니다!